Two federal law enforcement agencies have joined the Livingston County Sheriff’s Office investigation into the use of skimmers to steal credit card information from more than 80 victims in Livingston County. The Secret Service, which investigates certain types of financial crimes, got involved a day after Sen. Charles Schumer, D-N.Y., urged the agency to step up investigations into card skimming incidents in the wake of an increase in such scams in the Rochester and Finger Lakes region. Schumer made his request in a letter to the director of the Secret Service about the issue. Schumer is urging the Secret Service to increase the number of agents and resources to investigate the fraud and partner with local law enforcement and federal authorities to coordinate information campaigns that allow employees and customers to more easily identify card skimming technology. Two credit card skimming devices seized by Sheriff’s deputies from gas pumps at the Westen Mini Mart, 5953 Big Tree Rd., Lakeville, were turned over to the FBI last week. 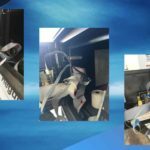 “They will take the skimmers back and dissect them to see if they can trace them back to a larger operation,” said Livingston County Sheriff Thomas J. Dougherty. A skimmer is a device that can read and store information from the magnetic stripe on a credit or debit card. That information can then be used to create a fraudulent card that may be used to buy merchandise. “We are working gas stations throughout the county to safeguard their gas pumps,” Dougherty said. Congressman Chris Collins, R-Clarence, has asked the National Association of Convenience Stores to help local businesses take proactive measures in securing personal information and preventing identify theft. Collins also encouraged victims to contact both local law enforcement and Federal Trade Commission so they can better track these instances of fraud. Victims have continued to come forward since the Sheriff’s Office announced Feb. 6 that is was investigating what was then 20 complaints from residents in Avon, Lima and Livonia. The victims discovered that their credit cards had been fraudulently used at various Walmart stores throughout New York since Dec. 14, 2017. Some of the victims have been defrauded “numerous times with numerous charges,” said Dougherty. The amounts of the fraudulent transactions have ranged from $25 to more than $500, Dougherty said. The Sheriff’s Office’s Criminal Investigation Division is conducting the investigation into where the credit cards were compromised and the suspects responsible for using the credit card information. It is believed that most, if not all, of the cards were compromised at a gas pump where a skimming device captured the user’s credit card information. The letter, which requested “assistance and a vigilant approach” from station owners to prevent more fraud, includes more steps store owners and managers can take to prevent skimming at their gas station. These include re-keying locks on dispenser doors that have access to electronic payment data, frequent inspections of gas pumps and keypads and the use of serialized security tape on access doors that reacts if it has been tampered with. The letter also suggested stations invest in anti-breach kits that notify and shut down dispensers that are accessed without a proper security code. “This can be costly, but it is the ultimate line of defense,” the letter said. The sheriff said the criminals use rental cars and move on as pictures of the cars and suspects begin circulating once the fraudulent activity is discovered. In November 2015, Juan Pablo Cosio Aguila and Frank Claro Toledo, both Florida residents, were arrested in Livingston County after Dougherty – following an alert from the Monroe County Sheriff’s Office – found the suspect vehicle at the Dollar General in Lakeville. Dougherty and Deputy Shawn Whitford conducted a traffic stop in which numerous items related to the use of fraudulent credit cards were located in the vehicle, including cloned credit cards, a fake identification and a trunk full of property. Aguila and Toledo were turned over to the Monroe County Sheriff’s Office to be charged with crimes committed in Monroe County. They were later charged by the Avon Police Department in connection with alleged credit card fraud at the Tops in Avon and the Livingston County Sheriff’s Office obtained arrest warrants for similar felony charges in connection with possible fraudulent credit card use at the Dollar General. In December 2017, the Ontario County Sheriff’s Department arrested two men, Carlos Cabrera Quintero from Texas and Raciel Diaz Diaz from Nebraska in connection with credit card skimming in Ontario, Wayne and Monroe counties. The men then allegedly used the information to buy merchandise at stores throughout Western and Central New York. 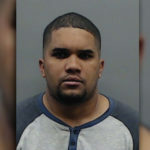 State Police in Latham on Monday announced the arrest of a Florida man, Yadiel Baez-Arias, 30, of Hialeah, Fla., on charges of fourth-degree grand larceny and first-degree scheme to defraud in connection with a six-month investigation by officials from three agencies into skimming devices that were found on gas pumps in September 2017 in the town of Amsterdam, Montgomery County. The FBI and the United States Postal Inspection Service were also involved in the investigation. The arrest is believed to be tied to the December 2017 arrests by State Police in Fonda, Montgomery County, of two other individuals from Florida, Yudiel Ceballos, 31, and Yuny Rodriguez, 29, for skimming devices. Dougherty said advancements in technology have made it harder to detect skimming devices, while it has become easier for criminals to retrieve the information captured by the skimmers. Dougherty said that two years ago a skimming device would likely be found where an individual swiped their credit or debit card. But now, criminals are able to get into the “guts” of a gas pump and attach a “pigtail” device behind the card reader where it would not be visible. “So when you arrive and swipe your card, the outside of the pump functions as normal,” Dougherty said on the Lonsberry broadcast. The “pigtail” device is able to transmit information electronically via the wireless communication technology Bluetooth, only requiring a criminal to be in proximity to the pump to retrieve the captured information. Previously, a criminal would need to return to the pump and retrieve the skimming device. The captured information is then used to clone a credit card. “It’s quite a complex and comprehensive plan that these criminals have,” Dougherty said. Criminals are able to get skimmers and universal gas pump keys online, Dougherty said. Dougherty said investigators are working with local gas stations to get the locks on gas pumps changed. “I think this is where we can be proactive,” he said. Paying in cash is the most effective defense against skimmers. Although it may be inconvenient at times, pay inside the store when using your credit card at the fuel pump. Consider choosing fueling locations that have adequate lighting and visibility, particularly after hours. Thieves look for easy targets when installing skimmers. Choose a pump closest to the station’s clerk. Thieves often place skimmers at pumps farther away from the store. Pay attention to signs that a credit card swiper/keypad or fuel pump enclosure has been tampered with. Loose parts or signs of forced entry may be a red flag. Consider the credit card you’re using. Cards that have chip technology can be more secure and some retailers offer store specific credit cards that cannot be used for other purchases and may have cost incentives for purchases. Credit cards have better fraud protection then a debit card and the money is not deducted immediately from an account. If using a debit card at a pump, choose to run it as a credit card rather than punch in a PIN number. Monitor your credit card activity online if possible and consider setting up alerts for unusual purchases. By using these strategies you may avoid an unauthorized credit card charge, the department said. Inspect the gas pump, ATM or credit card reader before using it. Signs a skimmer may have been added to the device include anything loose, crooked, damaged, scratched or attached with adhesive tape. Any delay in the device returning your card can also be an indicator. The FBI also notes that in addition to the skimmer and the potential use of a hidden camera, some criminals use a keypad overlay, so also pay attention to whether the keypad looks like an add-on, is attached with electrical tape or otherwise looks out of place. The Federal Trade Commission says to make sure the panels are closed on the gas pump or ATM and there are no signs of tampering. Some gas stations put security seals over panels. PC Magazine, which wrote about how to avoid becoming a skimmer victim, says to “wiggle everything” at least a little bit – nothing should move when you push, the magazine said. The magazine and others also noted that if something looks different, such as a different color or material, graphics that aren’t aligned correctly or anything else doesn’t look right – such as a flashing card reader, but others that are not flashing – don’t use that reader device. For questions or concerns, call the Livingston County Department of Health – Center for Environmental Health at (585) 243-7280.